Downtown Cold Spring is a busy place on a Saturday morning – people stopping at the hardware store, making a quick stop for groceries, getting a haircut at the barbers. But the busiest place on the block is the Cold Spring Bakery. Walk in on a Saturday morning and you’ll need to take a number, but you’ll stay busy browsing past the counters trying to decide what to order while you wait for your number to be called. This is a game for us really, as we always order the exact same items. Everyone has a favorite, some of which disappear early in the day. Apparently, the early bird gets the Custard Filled Long John. 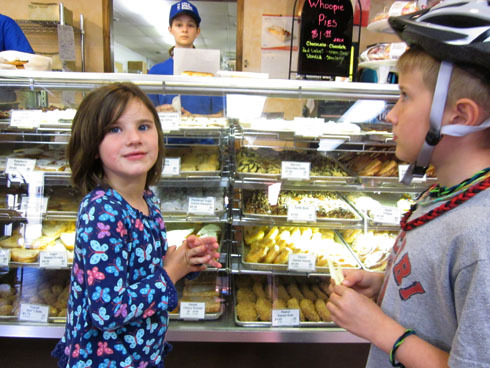 If you live in town, no one needs to tell you what a treat it is to have a great bakery near by. If you plan a trip through Central Minnesota, it is worth a stop (notes: closed on Sundays, best selection early in the day). 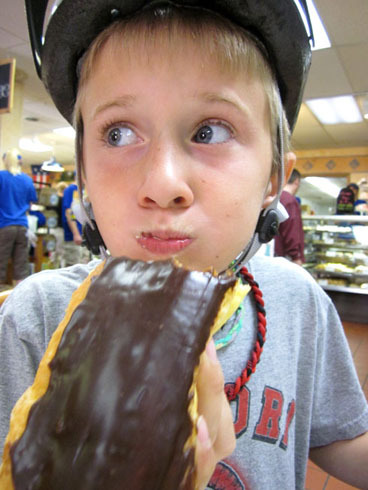 If you are planning a Doughnut Pilgrimage, the Cold Spring Bakery should be on your list.